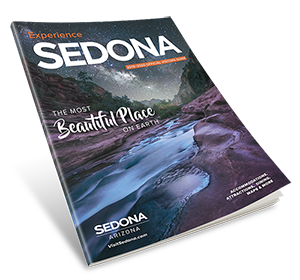 Discover the answers to frequently asked questions to help you plan your visit to Sedona. Which websites will help me plan my visit to Sedona? Square Mileage: 19 sq. mi. If I have just one day to spend in Sedona, what should I do? In one day, you will get a taste of Sedona, and want to come back. In one day, you can see the beauty of the Red Rocks by stopping at the Chapel of the Holy Cross or Airport Mesa via Airport Road. A trolley ride or a hike in Red Rock Country will show you the beauty of our vibrant city. In addition, there are numerous galleries, attractions and restaurants that you will want to see while you’re in town. Dry Creek Road, Red Rock Crossing and the scenic drives of 89A through Oak Creek Canyon and State Route 179 to I-17 are sure to be pleasing. Click here to learn more. The best resource we have is Fishing in the Verde Valley. When do the leaves get their fall colors? Sedona Arizona enjoys four mild seasons and all the natural beauty the changing seasons provide. Every year, as Autumn gets into full swing, Sedona experiences the changing colors of our Sycamore, Oak, and Maple trees. The transformation takes place sometime between late October in Flagstaff and the upper reaches of Oak Creek Canyon, and in early November for the lower areas of the canyon, including Sedona. The change of color is dependent on weather conditions. Some of the best places to see the changing colors include Baldwin Trail in the Village of Oak Creek and The Cookstove Trail in Oak Creek Canyon. S-Hub refers to Sedona (S) as the center of your travels to the east, west, north and south. Excursions can easily be planned from Sedona to Montezuma Castle, Indian Ruins, the ghost town of Jerome, the Grand Canyon, the Parks of the Navajo Nation, Canyon de Chelly and other interesting spots in Arizona and beyond. Do I need a pass to park in Sedona to visit the shops, galleries and restaurants? No, you do not need a pass. However, if you want to hike in Red Rock Country you may need a RedRock Pass. (Not all trailheads require a pass.) It is not necessary to have the Red Rock Pass to stop and take a picture as long as you are not out of sight of your car. Where can I park my RV while I shop and explore Sedona? Use this map of the Uptown area for Sedona Parking for Motorcoaches. We would like to go hiking in Sedona. What do you recommend? There are numerous hikes in Sedona. Stop by the Sedona Visitor Center for additional hiking information and use this link for Sedona Area trail maps. Three low intensity hikes with beautiful views include the Bell Rock Pathway, Margs Draw Trail, and Herkenham/Centenial Trail in West Sedona. The Mund’s Wagon Trail, Wilson Mountain Trail, Bear Mountain Trail, and Brin’s Mesa Trail prove to be long and/or difficult trails. For more suggestions, visit the Red Rock Ranger Station Visitor Center, 8375 State Route 179, and use their electronic trail-finding system. Where can I camp in Sedona? What and where are the Vortexes? In the early 1970s Page Bryant wrote a book identifying centers of energy in Sedona. Each has its own attributes and collectively they began to attract the attention of the global New Age community after the 1986 Harmonic Convergence. The vortexes are located at Airport Mesa, Bell Rock, Cathedral Rock and Boynton Canyon. Read this article. Why are the Red Rocks red? Iron oxide resulting from a post-glacial age ocean that filled all of the Verde Valley. When is the Apple Festival? As the summer begins to fade and fall colors come to mind, apples are ripening in Oak Creek Canyon. One of Sedona’s most popular annual events is the FALL FESTIVAL at Slide Rock State Park. Sometimes referred to as the “Sedona Apple Festival”, this annual event has its roots in Sedona’s agricultural past. Slide Rock State Park is located on the former site of a 43-acre historic apple farm in Oak Creek Canyon originally owned by Frank L. Pendley. The Pendley family arrived in Oak Creek Canyon in 1907 and later acquired the land under the Homestead Act in 1910. Due to his pioneering innovation, Pendley succeeded in establishing a unique irrigation system still in use by the park today. This allowed Pendley to plant his first apple orchard in 1912, beginning the pattern of agricultural development that has dominated the site since that time. Slide Rock State Park hosts the Fall Festival event, providing tours of the historic apple sorting shed and machine that still exist on the site. What is the weather like in Sedona? Weather in the great southwest is famous for being unpredictable and extreme. Arizona weather is no exception with its spectacular summer monsoon and thunder storms. The City of Sedona is blessed to sit in the states Goldilocks Zone. At an altitude of 4500 feet above sea level, Sedona is not too hot and not too cold… it is just right. Our town receives approximately 18 inches of rain (most during the summer monsoon) and 3.5 inches of snow annually, making it ideal for vacationers. Beginning in October temperatures will begin to dip considerably after the sun sets, so be sure to bring a light sweater or jacket to avoid a chill. Come relax and play in Sedona’s amazing climate and enjoy some of what the rest of the state envies… perfect weather. What time does the sun set? Where can I find the Mogollon Rim? The Mogollon Rim runs over 200 miles from New Mexico and stops at Oak Creek Canyon. What are the closest commercial airports? Phoenix Sky Harbor International Airport is 2 hours away from Sedona. Phoenix Mesa Gateway Airport is approximately 2 and 1/2 hours away from Sedona. There is a smaller regional airport in Flagstaff Pulliam Airport, 45 minutes away from Sedona. How far is it to the Grand Canyon? 114 miles from Sedona. Allow 90 minutes to 2 hours depending upon traffic. Where can I go apple picking? Slide Rock State Park offers apple picking September-October depending on weather conditions. Are there any local colleges? Northern Arizona University, Yavapai Community College and Coconino Community College are all in the area. What congressional district is Sedona in? Where is the closest RV dump? Where and when are Sedona’s Farmers Markets? In the winter the Farmers Markets are at WellsFargo Bank, 2201 W HWY 89A, Saturday mornings. Does Sedona offer any hiking groups? Where can I get a money wire? What time zone is Sedona in? Sedona, Arizona is in Mountain Standard Time year-round, and does NOT observe Daylight Savings Time. 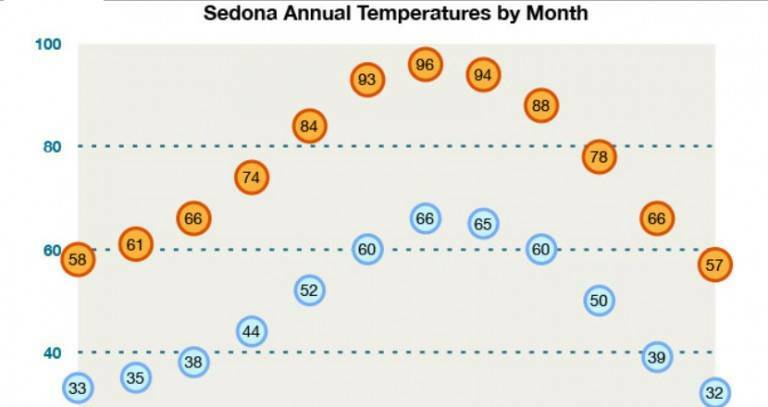 The effect of this is that Arizona is on the same time zone as Mountain Time states during the winter months. In the summer months, Arizona is on the same time as Pacific Daylight Time states.